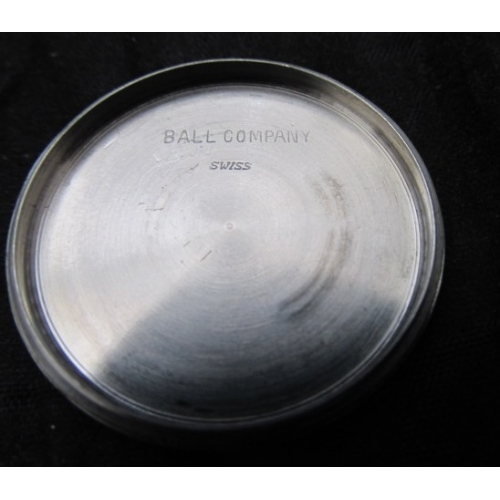 BALL Official Railroad Standard Mint condition on this early production Ball Railroad Standard wrist watch. 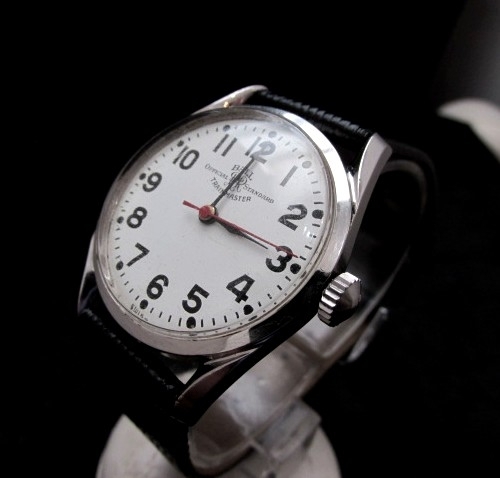 Case is stainless steel with Bombe style lugs with screw back, inner anti-magnetic cover and measures 34mm x 43mm overall and comes with new padded strap. 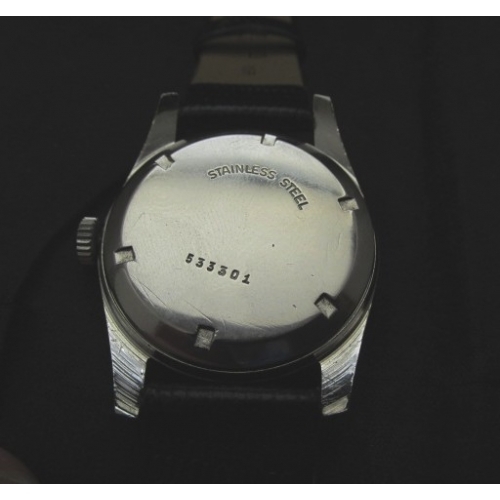 Watch is running perfect on its 21 jewel, manual wind, adjusted 5 position, hack set, chronometer movement. 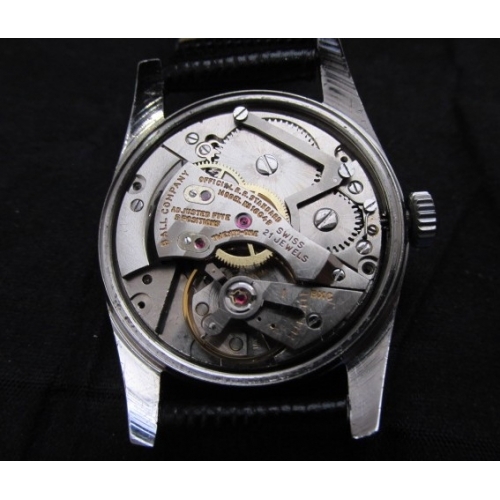 Movement looks and runs like new! 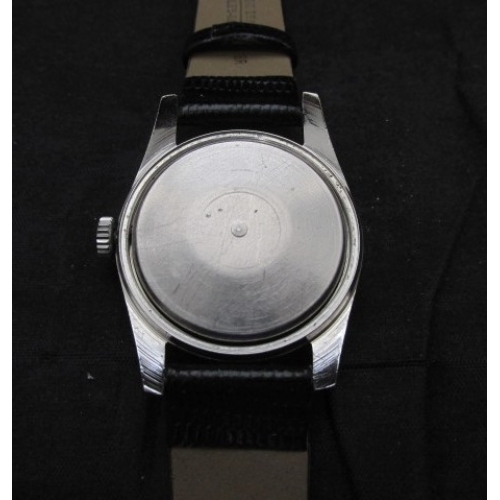 Watch is signed on dial case and movement and is 100% original! 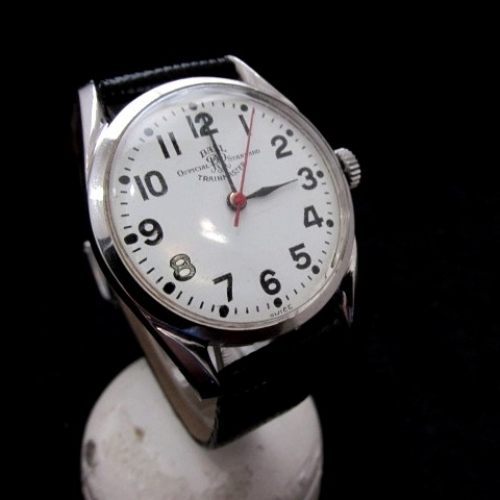 Dial is in pristine original mint condition in the box car style! Box Car Dials were white with exaggerated large black numerals and outer seconds for easy reading....were prefferred choice by most Railroads. 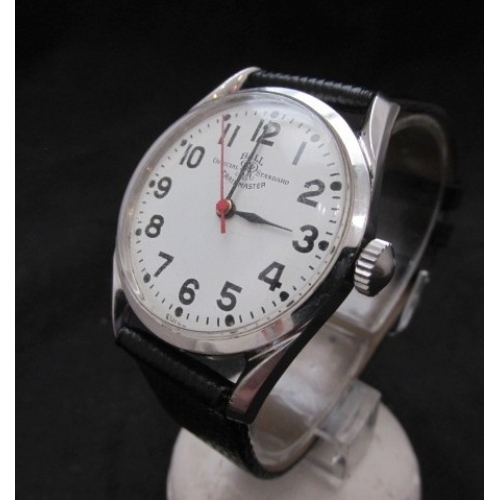 If your collecting Ball Railroad wrist watches this is a great example! 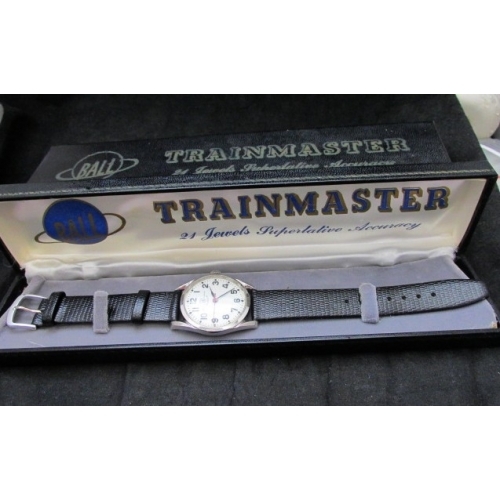 This one is like new in original box with outer box.....been sitting in closet most of its life.